Wills are important legal documents that inform people about what you want to happen to your estate and assets when you pass on. But often people overlook the necessity of updating and keeping their Will current, and huge problems sometimes result. Peter and Sally’s story is one such case. Peter aged 61 and Sally (56) had been living together for 13 years. They owned a home jointly (worth $900,000 / no mortgage), had a joint bank account with a balance of $250,000. Both had separate assets (cash, term deposits, kiwisaver and life insurance policy) in their own name worth approximately $500,000. In February this year the couple married – a second marriage for them both. Unfortunately, in August, Peter died of a sudden heart attack. Peter and Sally had not updated their wills since marrying. Under the law, marriage revokes any earlier wills, and so, in the eyes of the law, Peter died without a Will and his estate was dealt with under the Administration Act. Because the home and joint bank account were jointly owned, these transferred to Sally as the surviving partner. Furthermore, under the Administration Act, she was entitled to the first $155,000 of Peter’s estate, with the remaining balance split 1/3 for Sally and 2/3 for Peter’s two adult children. But Peter’s daughters were not entirely happy with this arrangement as his earlier Will (made before he met Sally) had left his entire estate to them. As a result they plan to make a claim against the estate. This claim will involve huge legal costs for all involved and may take years to sort out through the courts. This scenario with blended families and old, outdated Wills is not uncommon. The legal ramifications an out of date Will can have when a family member passes away can quite often be prevented if people regularly revisit their documents to ensure they are current and in keeping with their wishes. I recommend people review these at least every five years or when personal living circumstances change. 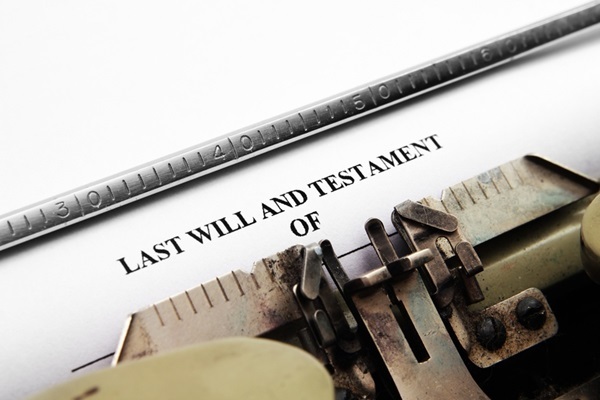 When completing a Will a person needs to consider their assets at the time, who they want to leave their property to and also what the competing claims from family members can potentially be. Transferring assets to a trust is a good way of ensuring assets are dealt with as you wish on your passing. This can certainly discourage unhappy children from making claims against the estate as you will have no assets under your personal name to claim against! Contributed by Trust Law Expert, Tammy McLeod – Davenports Harbour Lawyers.